Below you can find frequently asked questions. 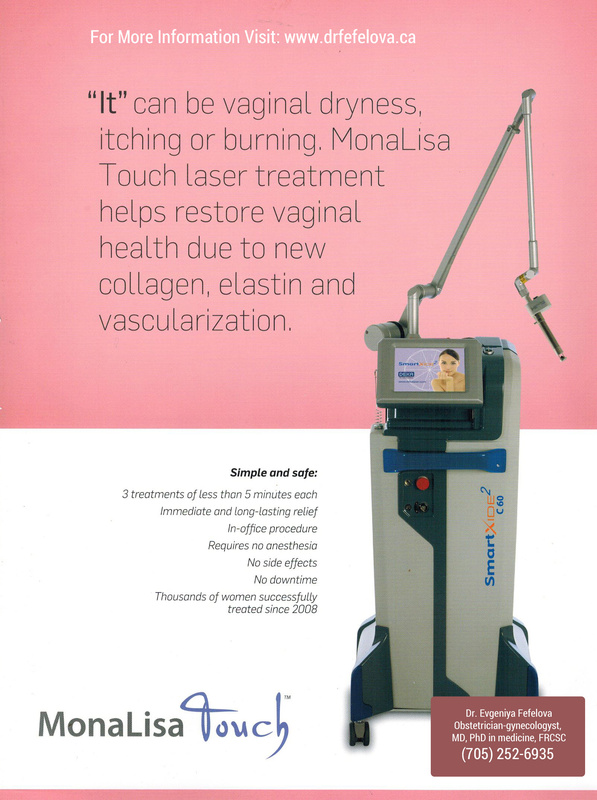 The MonaLisa Touch® is a gentle laser therapy that delivers controlled energy to the vaginal wall tissue. 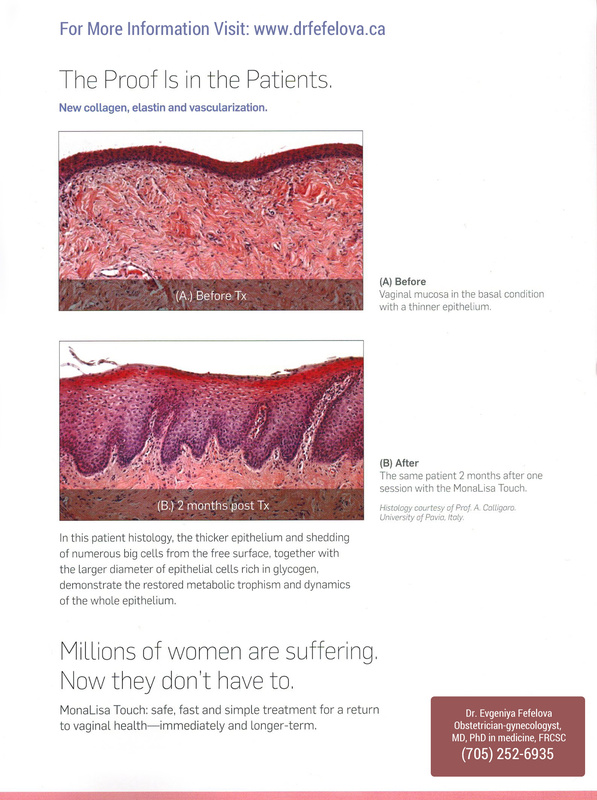 It restores gynecologic health by generating new collagen, elastin and vascularization. The MonaLisa Touch® was first available outside the US where more than 15,000 patients have been treated worldwide. The MonaLisa Touch® uses gentle laser energy that is delivered via a side-firing probe inserted into the vaginal canal. A two-part pulse targets surface (epithelial) tissue and deep (lamina propria) tissue to promote vaginal mucosal revitalization. What clinical trials have been conducted on the MonaLisa Touch®? The MonaLisa Touch® is appropriate for any female who has gone through menopause, as well as those who are experiencing post-menopausal symptoms as a result of a hysterectomy or breast cancer treatments. 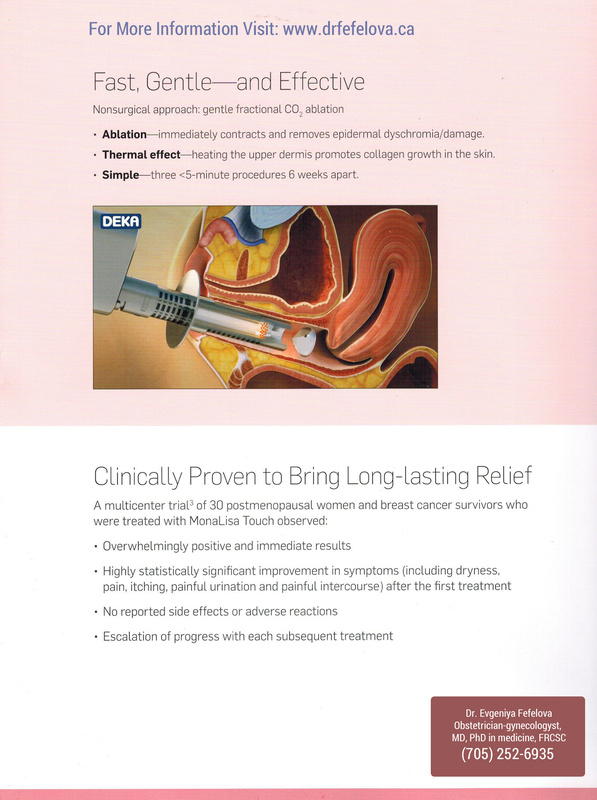 Yes, the MonaLisa Touch® therapy is particularly well suited for patients who cannot, or prefer not to receive estrogen therapy.